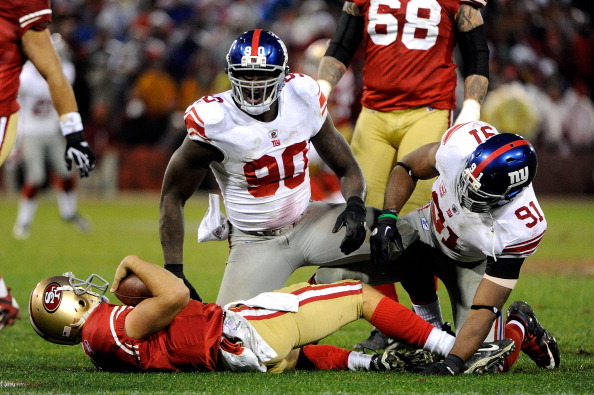 Poll: Who Wins the Giants at Niners Week 6 Battle? This poll is funny. 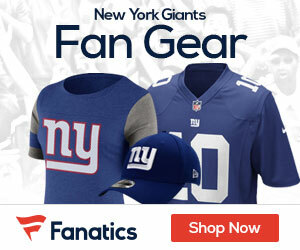 So many Giants fans are too damn pessimistic! Ny god they brought us 2 superbowls in five years. They are competitive every year. The worst they’ve done is 8-8. You guys chime in that Blackburn is god awful. He isn’t Elite but he is damn good. He makes plays when it counts. He has heart too. I heard other guys say this is brads haws last year. WTF? The guy is a playmaker and is a huge reason why we won both superbowls. Get your heads out of your asses guys. Braden is terrible too? It takes time and the guy will be a decent backup to the two best recovers in the league right now in Cruz and Nicks. Why does this site have to constantly belittle and talk down on their own team? I just don’t get it. Where are you guys during the game? Before there was much better coverage and in depth reviews. Now its seems lazy and just negative. We have the best Giants team in years and quite possibly ever! Good coach, Elite QB, near Elite Defense, Good playmakers. Its fun to watch. Stop complaining! Giants by 10!!!!GMEN!!!!!!!!! THANK YOU PC!! Enough with the negative bla bla bla on here. The Giants ARE the best they have been in years. GO GIANtS!! Keep getting better!! !